Might Liquor stores become open on Sunday's? 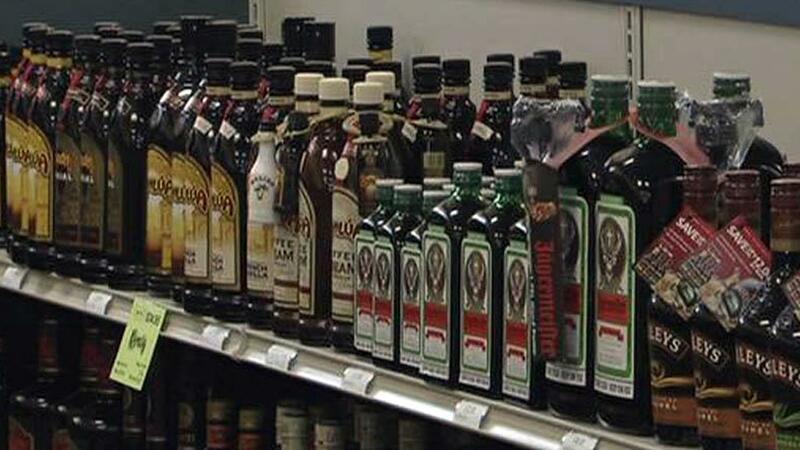 Lawmakers have talked for years about getting out of the alcohol business and turning sales over to the private sector, but a new report stops short. I love the anti's rebuttal. Personally, I think it's dumb to have them closed on Sunday's. Dumb in that I don't see the positive. If being closed on Sunday generates more $, then I'm all for it, but 47 other states seem to have stated otherwise. Not sure how I feel about going private though (but it is LOVELY to go to Florida and get my Vodka AND Lemon/cranberry juice AND keilbasa at the SAME STORE! Not sure they will go private here. I do like the protected price not jacked like other states. Sure. Sounds great to me. Lets sell weed and krat there too. I’m trying to figure that out too. After outcry from the public and some members of Congress over a proposed ban on kratom, the DEA is asking for public comment and more information before taking action. We already sell liquor 6 days a week. Who are we protecting? Or harming by allowing the sale a 7th day of the week. No idea what Krat is though. I mean, we drink it on Sunday, why not sell it on Sunday? Believe me alcohol sells on Sunday will not cause the moral decline of this state. That happened a long time ago. Around the time we started murdering babies. Don't get me wrong....I'm in favor of removing all controls on all drugs. Make em all OTC to anyone 18 or older. Let natural selection sort it all out. Im Not opposed to Sunday sales but to make all drugs otc not so much. How many welfare recipients do you wanna support? Im already at my limit. Dont want to pay anymore for medicaid for addicts either. And until natural selection takes care of it, Whos gonna pay for the consequences? Fica already takes enough out of my check. Maybe they can all live in starbucks bathrooms? It is rather ridiculous that you can order a mixed drink in a restaurant but can’t buy the ingredients. Its been my experience that when the liquor stores are privately owned, competition keeps prices low. 30 bucks for a bottle of Jamesons in NC. I bought one or two in CO last year for 19. This is the only comparison I have though. It won't make any difference to me if they open on Sunday. I prefer to keep the bar stocked so that I never have to run out and get something in a hurry. I call that poor planning about an important issue. If the bottle of Jameson you speak of is 750ml I get it for $22 in Ga . Shop around $30 is a rip off. True is some cases but they do discount accross the board here all the time. Not saying it will be that but see them take 5, 10 and up to 20$ off some times here. Can also luck into some good stuff for normal prices like Blanton's what 50 to 60 here tops yet VA has it for 150 to 200 sometimes and you see others of that likes all the time in the 100 to 500. You do not see that here. If I could buy weed legally I wouldn't have a need for the booze. Been saying that for years! Never heard of that, either. I don't see it happening unless they privatize. Which I don't see happening. Shine sold on Sunday, after church in the parking lot. At least in other states you can find Blanton's; it doesn't matter what the price is in NC if you can't find it. And I've frequently bought Blanton's in South Hill, VA - it's never been over $60. When I was in Maine over the holidays you could find it stocked on the shelves of grocery stores. Privatize it and sell on Sundays! Anyhthing we can take out of governments hands the better it is for the consumer. VA is state controlled correct. Like NC, Maybe that is why you can find it in VA.